In 2001 Dr. W.G. 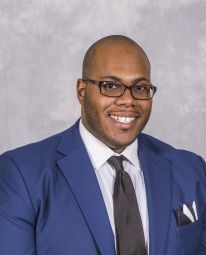 Robinson-McNeese left full-time work as an emergency physician to become Executive Assistant to the Dean for Diversity, SIU School of Medicine (SOM), his alma mater. McNeese was later certified through Healthcare Executive Diversity and Inclusion training by the Association of American Medical Colleges and Georgetown University, Washington, D.C., as he continued developing innovative diversity initiatives for the SOM throughout his time there. In 2017 McNeese retired as Associate Dean for Diversity and Inclusion at the SOM and currently holds the position of SIU System Executive Director for Diversity Initiatives. A member of Alpha Omega Alpha Honorary Medical Society, McNeese’s undergraduate education was at Anderson University, IN, Illinois State University-Normal and Southern Illinois University, Carbondale. Following graduation from medical school (’86), he did residency training at McGaw Medical Center, Northwestern Medical School, Chicago, IL (’90). Dr. Brown is the Associate Chancellor for the Office of Institutional Diversity and Inclusion at Southern Illinois University Edwardsville (SIUE) and Chief Diversity Officer with a tenured faculty appointment as professor in the department of social work. She also served as Associate Provost in Academic Affairs and Executive Director of the SIUE East Saint Louis Center (ESLC). Dr. Brown began her academic career in 1993 as an assistant professor of sociology and social work in the Department of Social Sciences at Greenville College (GC). Following in her commitment to accredited social work programs, Dr. Brown accepted a position at SIUE in 1995 as an assistant professor to start the Masters in Social Work (MSW) program. She was tenured and promoted in 2001, full professor in 2006 and department chair from 2006 – 2007. In this role, she contributed to the overall success of the BSW/MSW program being fully accredited. Todd Bryson received his Master’s degree in Recreation Management in 2008, and began his SIU professional career at the Student Recreation Center as the Assistant Director for Operations and Facilities. In 2013, Todd became the Assistant Director in Housing. In 2016, Mr. Bryson became the Director of the Student Multicultural Resource Center and is currently serving in this role. In January of 2018, Todd was named the Interim Chancellor for Diversity SIUC. Randolph Burnside is an Associate Professor in the MPA Program at Southern Illinois University Carbondale. His research interests include race, ethnicity and diversity, human resources management, behavioral aspects of disasters and organizational leadership. His most recent work has been published in the Canadian Journal of Administrative Sciences, the Journal of Applied Social Science, and the Ralph Bunche Journal of Public Affairs. Dr. Lakesha Butler is a Clinical Associate Professor of Pharmacy Practice at Southern Illinois University Edwardsville and a Board Certified Pharmacotherapy Specialist. She earned a Doctor of Pharmacy degree from Mercer University College of Pharmacy in Atlanta, GA and completed a pharmacy practice residency at the University of Illinois-Chicago. Dr. Butler is a strong advocate for increasing cultural competency among healthcare professionals, improving diversity and inclusion in and outside the classroom and developing leaders. She serves as the inaugural coordinator of Diversity and Inclusion at the SIUE School of Pharmacy and coordinator of the SIUE Healthcare Diversity Summer Camp which exposes minority high school students to college life and careers in pharmacy, nursing and dental medicine. Dr. Butler is the national President-elect of the National Pharmaceutical Association, and has received numerous awards for her national and local service leadership in pharmacy. Wendi Wills El-Amin, M.D. is the Associate Dean for Equity, Diversity, and Inclusion at Southern Illinois University School of Medicine. She is also a faculty member at the school as an associate professor of family medicine where she provides care at the Center for Family Medicine in Springfield. Dr. El-Amin is dually appointed to the SIU’s Department of Medical Education and is an Academic Strategist. She completed her residency in family practice and community medicine as chief resident at the University of Texas-Houston (2001). She earned her medical degree at Georgetown Medical School (1998) and a bachelor’s degree in biology at Hampton University in Virginia (1993). El-Amin is board certified in family medicine and is a member of the National Medical Association, where she chairs the Women’s Health Section (2008 – present). Brione Lockett was elected in March 2018 by the students of SIU Carbondale to serve on the SIU Board of Trustees. His term ends June 30, 2019. The Arlington Heights native completed his bachelor’s degree in history and Africana Studies at SIUC in 2015 and is currently in the third year of a joint concurrent program to earn his Master of Public Health in community health education and doctorate in education with concentration in health education. He’s a 2010 graduate of Rolling Meadows High School in Rolling Meadows. Lockett serves as a teaching assistant in Africana Studies and is a summer tutor for Saluki Athletics. He is president of the Black Graduate Student Association, treasurer of Graduate Assistants United and president of Eta Sigma Gamma, the national healthcare honorary. He was selected as the 2015 Alexander Lane Intern and served on the House Democratic Issues/Communication staff for the Illinois House of Representatives that year. He also earned the Vince Demuzio Internship in 2014 during which he handled projects to address the needs of constituents for government agency assistance through the Marion office of state Rep. John Bradley, D-Marion. During his time in Carbondale, he’s had the opportunity to speak regarding student issues in a variety of venues, including addressing members of the Illinois legislature during the state’s two-year budget impasse about student debt and student welfare. He has also served with campaigns established to improve interactions between police and people with mental health needs. Lockett enjoys reading, traveling and giving back to the community. His goal is to work for an organization such as the Centers for Disease Control and Prevention to implement programs to improve the quality of life for all individuals. Aileen Portugal is a third year medical student at Southern Illinois University School of Medicine. She started medical school after completing MEDPREP, a rigorous two year post-baccalaureate program at SIU Carbondale. As a first year medical student she started a Gay-Straight Alliance and organized lectures for students to learn basic LGBTQ terminology. She additionally served for two years as a member for the med school’s Diversity Committee. Her passion for inclusion, diversity and equity lead Aileen to participate in school of medicine initiatives such as the Diversity Forums, and she has also undergone anti-racism training through Crossroads International. Aileen received her bachelor’s degree in Biochemistry and Cell Biology from the University of California San Diego in 2007 and worked in the biotechnology field for 6 years before relocating to Illinois. Michael Ruiz is responsible for career services and counseling for the School of Law, diversity and inclusion initiatives, the pro bono requirement, school-wide surveys, and other special projects. Michael received a Bachelor of Arts in Political Science with honors from Southern Illinois University Carbondale in 1990, and a Juris Doctor from University of Chicago School of Law in 1993. He has been recognized by the state and national bar, having received the Young Lawyer of the Year Award (2000) from the Illinois State Bar Association, and the Louis M. Brown Award for Legal Access (2000) from the American Bar Association. Before his current position, he worked in the field of communications for SIUC serving as both the Director of the Communications department and Director of Communications for the Office of the President. 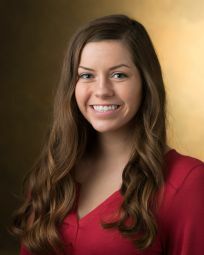 Molly Smith was elected in April 2018 by the students of SIU Edwardsville to serve on the SIU Board of Trustees. Her term ends June 30, 2019. Smith expects to complete her bachelor’s degree in biological sciences in May 2019. She will graduate with minors in chemistry, psychology and forensic science, as well. She is a 2016 graduate of Frankfort Community High School in West Frankfort. After graduation, Smith plans to continue her education by attending medical school and then serve the people of Illinois as a physician. Smith has been involved in a number of service organizations and leadership activities during her time at Edwardsville. She recently served as a Student Government senator, representing the College of Arts and Sciences – science and math. She is an active member of Alpha Sigma Tau, contributing to the sorority’s philanthropic efforts, and earning recognition as the 2018 Emerging Leader of the Year for the campus’ Beta Eta chapter. To enhance her leadership abilities, Smith participates in the university’s Student Leadership Development Program. She is also involved in the Pre-med Club, the Biology Club and the Psychology Club. Smith volunteers with the Campus Kitchen Project, an initiative that provides meals and information to community members utilizing food from area cafeterias, grocery stores and restaurants. She also donates her time bi-weekly in the recreational therapy department of the Shriner’s Hospital for Children and spent her 2018 spring break in Haiti on a medical mission to provide care to underserved communities. In addition, Smith is involved in research as an Undergraduate Research and Creative Activities Program assistant for biological and environmental sciences and teaches chemistry workshops. This fall she will serve as a Cougar guide at the SIUE Experience for incoming students. In addition to her extensive involvement in campus and community life, she enjoys creating crafts and shopping. Prince Wells joined the SIUE faculty in 1989, was appointed Assistant Professor in 1996, and tenured and promoted to Associate Professor in 2002. Mr. Wells has served as Director of the Music Business Program, he also teaches freshman Music Theory and Introduction to Music History and Literature. Wells received his baccalaureate degree in Music Education from SIUE and completed his master’s degree in Afro-American Music and Trumpet at the New England Conservatory of Music. He also studied trumpet with noted instructor Carmine Caruso, as well as Gary Smith of the St. Louis Symphony. Under the tutelage of the internationally known composer and theorist George Russell, Wells earned certification in the Lydian Chromatic Concept of Tonal Organization, and currently holds the distinction of being one of only three persons in the United States with that certification.